Since its premiere in 2008 until well after its end in 2013, Breaking Bad has been making headlines in the media concerning many of its avid fans. Whether or not these criminals took the ideas of their crime from the show or not cannot be determined, but what we do know is the eerie similarity between these crimes and the crimes occurring in the show. The first case comes from the state of Washington where a murder of a young woman occurred in June of 2013, as the series was coming to an end. Her body was found in a tub filled with acid in which , Jason Hart, the boyfriend, attempted to dispose of her body after strangling her. KTVB 7 reports that authorities found an episode of Breaking Bad, which illustrates an uncanny similarity to the real-life event that happened. No one can know for sure whether Hart got his idea from the show, but there is strong evidence to say so. 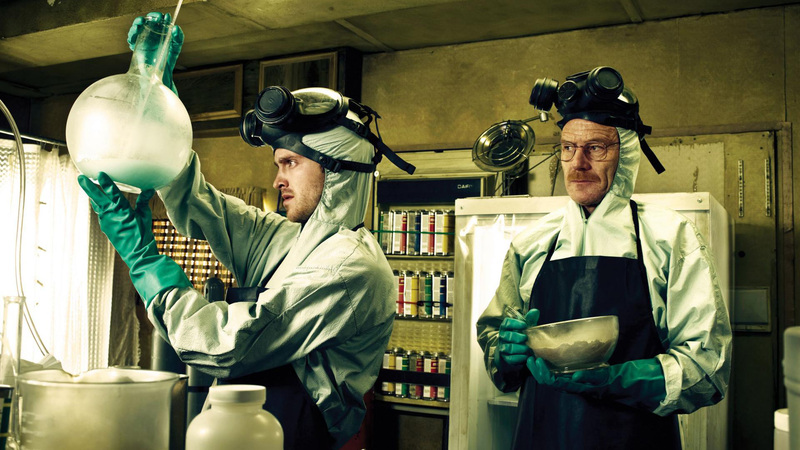 Since the start of the show, there has been a steady increase in the production of a certain kind of meth: the famous “blue sky” meth. Especially in Kansas City, Mo, where police say they arrested a number of meth dealers in 2010 who were producing crystals with blue food coloring in order to sell their products at 50 percent more than other types of meth that did not include the blue coloring. Meth users were actually buying this clue-tinted drug (even though the potency was equivalent to its original form) because of its association to the show. The last case can be seen in Queensland, Australia, where it was reported that prison inmates used the television sets within the prison in order to light their cigarettes. 425 television sets in the prison had to be replaced and 131 others had to be put to repair. Does this sound familiar? Well, Walt uses exposes the wires of a coffee maker cable in order to burn the zip-tie that is restraining him in the episode titled, “Buyout”, in season five. Through all these cases it can be seen that the series has had a great influence in the behavior or many people around the world. Television is such a powerful tool that can be used to spread news to billions of people in an instant. It can be the most advantageous invention or the most disastrous. It has the power to set new realities from the irony and exaggerations it portrays of the world we currently live in.